Whitefish Bay is a bustling, tight-knit village of tree-lined streets and beautiful parks. It is a community of lifelong residents, filled with landmark businesses and local staples that lend themselves to the sense of pride that comes with living in Whitefish Bay. The village is home to some of the best schools Wisconsin has to offer, including the state’s number one high school. Whitefish Bay is a Bird City Wisconsin and a Tree City USA. Whitefish Bay is the gem of the North Shore when it comes to outdoor recreation. Ten beautiful parks with green space, playgrounds, and sports facilities are scattered throughout the village streets. Fancy a bike ride? 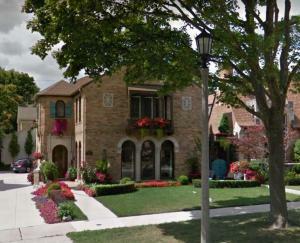 Nearly every house in Whitefish Bay has a park within easy riding distance. For kids, Whitefish Bay offers sports programs for everything from gymnastics to golf. Whitefish Bay is also home to a wide variety of businesses and eateries. The Bayshore Town Center is the North Shore’s largest shopping mall - look there for big stores like H&M and Barnes and Noble. Surrounding Bayshore along Silver Spring Drive, smaller local businesses abound. Check out Fox Bay Movie Theater for dinner and the latest blockbuster! Jack Pandl’s Whitefish Bay Inn is the place for a traditional sit-down dinner - the German-American fare there has been a village staple for over 100 years. More than just a place to rest your head at night, the Whitefish Bay community is a remarkable place to live, work, and play. With annual events like the Whitefish Bay 4th of July parade and the Whitefish Bay 5k/Fun Run, there’s hardly a shortage of activities to do on the weekend! If you’ve liked what you’ve read so far about Whitefish Bay, then contact us today. 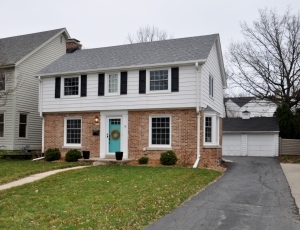 WHAT IS MY WHITEFISH BAY HOME WORTH? 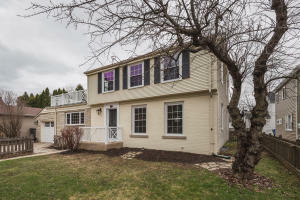 If you're thinking about selling your home in Whitefish Bay , make sure to contact us. We offer a complimentary home evaluation. Our real estate agents are experts in the Whitefish Bay market and we offer home staging as well.